Ex-HP, TCS; CEG Alumnus. Well experienced in IT Testing & Performance. 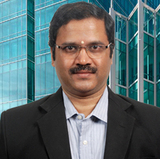 Do You want to chat with Pichumani Nagarajan ?